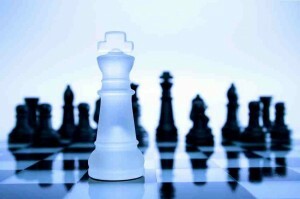 Is your strategy right for the challenge you face? - Knowlan Consulting Group Inc. | Knowlan Consulting Group Inc.
Home » Mintzberg » Is your strategy right for the challenge you face? Henry Mintzberg once defined strategy as a pattern of action in response to something . . . However, many strategies lack a clear definition of that “something” . . . the challenge to which they’re responding. We believe this often results in setting too many priorities. Why? Read on. We recognized 20 years ago that many of our clients’ strategies included too many priorities. How could a situation analysis with 20 to 30 strengths, weaknesses, opportunities and threats be focused? So we cut SWOT lists from our planning process. (see “Are you still using SWOT lists?”) Our clients have told us that most of the gains from their strategies usually come from a minority of their initiatives. Why not use a shorter list of issues to drive out fewer, better focused priorities? Reducing the situation analysis to two lists – external and internal issues – helped, but it didn’t completely solve the problem. When a strategy doesn’t identify the fundamental challenge to which it is responding, it results in too many priorities that spread effort and resources across too many initiatives. Without a clear, focused definition of the fundamental challenge the organization is facing, how can a leadership team create a sharply focused strategy to overcome it? We decided to try an experiment. We looked back at more than a dozen client strategies and separated their external issues into causes and symptoms. What we found was that most client teams identified 3 or fewer fundamental issues, often only one or two. The rest were symptoms or consequences of the core issues. Next, we took this idea into a few strategy sessions. It was surprisingly easy for teams to agree on one or a few fundamental issues that were the drivers of all the other external issues. As a result, these teams were able to create wonderfully clear and focused fundamental strategies. That made it much easier to set priorities, to avoid setting too many, and to align everything in the strategy to support the fundamental strategic direction. This isn’t the only way to focus your strategy, of course. Over the years we’ve worked with several strategy teams that consistently created very clear and focused plans – even some who used SWOT lists. In every case, though, it took many more days of discussion and analysis to reach the level of clarity achieved by our latest clients. We think this is an important breakthrough that will help all of our clients to create sharper, more focused and aligned strategies in less time. A simple check will help you to assess whether your strategy suffers from this lack of clarity. Open your strategy document and look for evidence of the fundamental challenge to which your plan responds. Is it defined or clearly implied in your plan? Next, move on the review the overall strategy. Does it look like a direct response to your fundamental challenge, and the best bet for your firm? If the answer to both questions is “yes”, congratulations on having a sharply focused strategy. But if you answered “no” to either question, your strategy may have two very important shortcomings. It may be squandering resources trying to resolve symptoms instead of the fundamental challenge you face. Perhaps even worse, because it was not developed to leverage your advantage against a clear, fundamental challenge, it may not be your best bet to overcome the most important strategic challenge you face. If you can’t see the fundamental challenge clearly in your strategy, and/or if your strategy doesn’t look like your best bet to overcome that challenge, it’s time to revise and sharpen your plan.